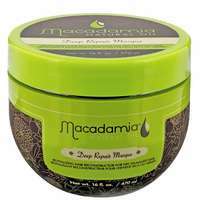 Macadamia Natural Oil comes from the South Pacific and is becoming very popular for its amazing effect on hair. Hair will be given a soft touch that feels healthy and cared for. 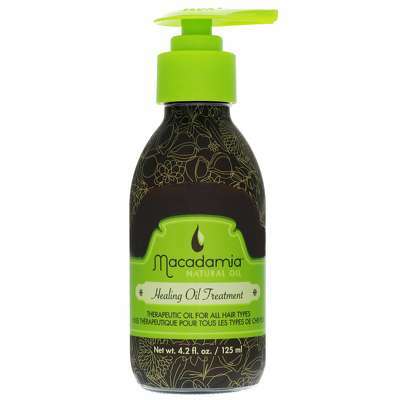 Macadamia Healing Oil Treatment is a therapeutic oil perfect for all hair types and is especially beneficial to dry, damaged hair. The Healing Oil Treatment is instantly absorbed, weightlessly infusing the hair with moisture and nutrients for silky smooth, healthy looking hair while providing natural UV protection from photo and sun damage. 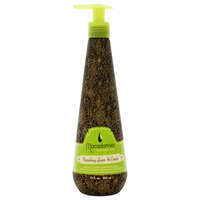 Dry, brittle hair is miraculously rejuvenated with increased shine and control. Drying time is reduced by an amazing 40-50%. 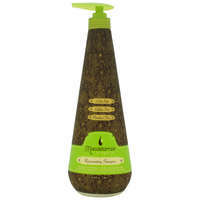 To use: For styling and finishing, work a small amount into damp or dry hair. For extra nourishment add a small amount to a masque or leave-in cream.